Basic three-reel slots are a common type of slot machine found at modern casinos, although multi-payline video slots are also very popular amongst players. Attempting to pinpoint the odds for slot machines is a daunting task. 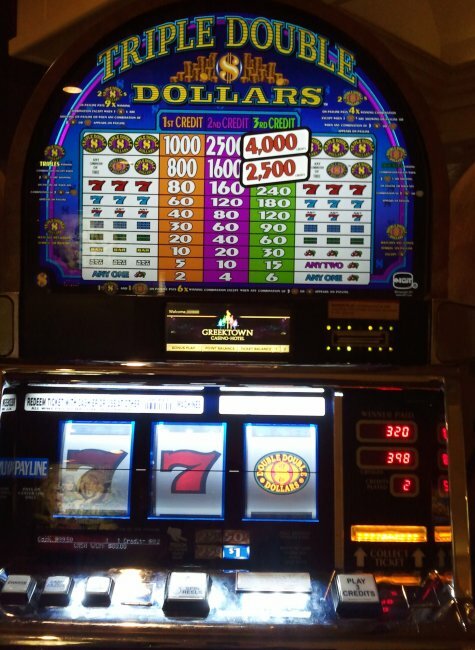 With such a variety of machines and games available, the odds can vary a great deal. Generally slots odds are expressed in the form of a payback percentage. The closer to 100%, the better for players. Some machines even pay back at percentages greater than 100%, giving the lucky players who find them a positive expectation for winning. These 'loose slots' are frequently mixed into the sea of machines on a casino gaming floor. For a while, casino operators placed the highest paying machines in high traffic areas like entrances, bars, and near lines for buffets or shows - basically any place a crowd of people was likely to be. The strategy behind the prominent placement of higher paying machines was that since they produced winners more frequently, they would also generate more interest from passers-by, making other players more likely to play at average or low paying machines. It didn't take long for slots players to figure out this simple strategy, so casino managers shuffled things up a bit. Reverse methods were employed, putting low-paying machines in high traffic areas, and vice versa. These days, there really is no standard procedure for distributing the different pay level machines on a casino floor. Machines are mostly placed at random or in a secret arrangement that only the casino management and staff are privy to. 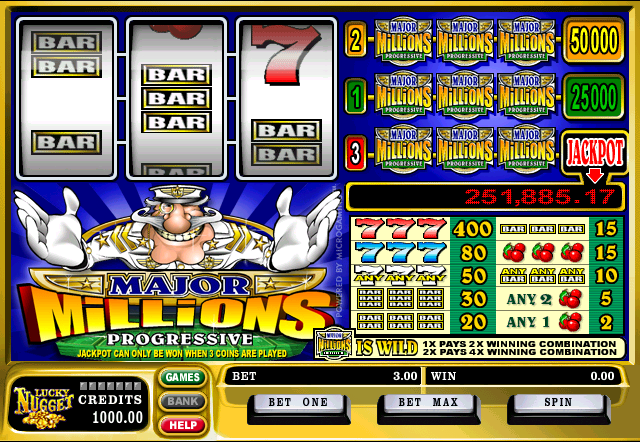 The machines, themselves, still offer a mix of payout percentages with some high and the majority being low to average. One popular guideline that is easy to follow is to try multiple machines until you find one that pays. Start with a nominal amount of money - such as 20 credits for a .25 or .50 credit machine - and see how it pays. If you are getting more back than you put in, you may have found a hot slot - or one set for higher payouts. Keep playing until it proves itself otherwise, and then try another machine. If the slot you picked is paying out next to nothing from the start, that could either be a cold machine or one set for lower payouts, which also means it's time to move on. There are many strategies slots players utilise, but a few rules of thumb will hold true regardless of where you play. When playing slots games at land casinos, you will likely have machines that offer .01, .05, .25, 1, 5, and 100 credit betting denominations. How do you know which ones offer the best return rates? The highest denomination ones of course. Casinos generate more revenue by getting a large monetary turnover. Operators know that less overall money will go in and out of a .05 credit slot machine during the course of a day than will in a 1 credit machine. Because more money turns over in the higher-denomination machines, casinos can afford to offer higher return rates for players. Your bankroll may not be able to support playing a five-credit machine for several hours a day, but with a 98.4% payout, it offers significantly better odds than a .25 credit slot. To take it a step further, although you would have to be a high roller, the one hundred credit slots usually offer a near-100% return rate. Even though the machines don't see nearly as much action as the .25 and 1 credit slots, so much is at stake on a single spin that allows the casino to offer a near even money return. Keep in mind that these bankroll figures are only estimates, based on the average payout across all slots. While playing, your actual return may vary a good bit from these numbers. To be conservative, you might try doubling the amounts listed above to ensure one hour's worth of play, if the length of your session is a concern. Lots of players have won giant jackpots with small bankrolls. In 2001, an Arizona businessman on holiday at Harrah's Las Vegas won the multi-million dollar Megabucks jackpot after investing only 22 dollars. The simplicity of the games, and the high win potential is a big part of what fuels the popularity of slot machines. 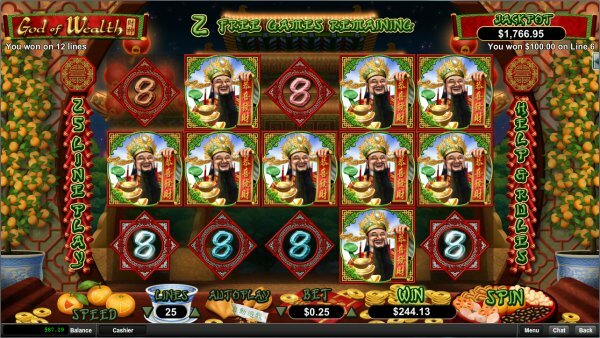 God Of Wealth is an example of a video slot machine, which usually features five reels, anywhere from five to more than 200 paylines, various symbols, and is popular at both land-based and online casinos. Learn more about God Of Wealth Video Slot or play at Intertops Casino. The numbers on the chart above represent the top five online casinos in terms of slots payouts based upon an unbiased monthly audit by one of the largest international accounting firms for the most recent audit period. All of these casinos' slots games are tested using rigorous accounting standards to ensure fairness for players, and that the casinos are providing a consistently high rate of return. If you'd like to try your luck playing slots online, browse our list of approved online casinos, which features a number of reputable establishments offering a large variety of slots. Try a leading online casino with great payouts and variety of slots games. Have a spin at over 100 slot machines, including traditional three-reel and video slots, just for fun. This progressive is known for turning players into instant millionaires. Since 2002, the Major has paid dozens of million credit jackpots. Get a first hand look at IGT's cutting-edge reel depth slot machines found at land casinos.